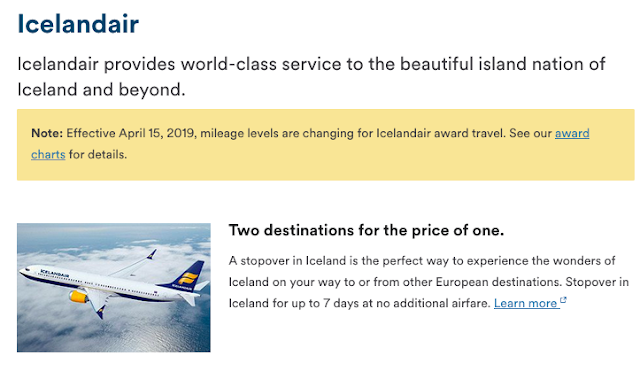 Alaska Airlines is raising the mileage requirements for redeeming Mileage Plan miles on Icelandair flights as of April 15. 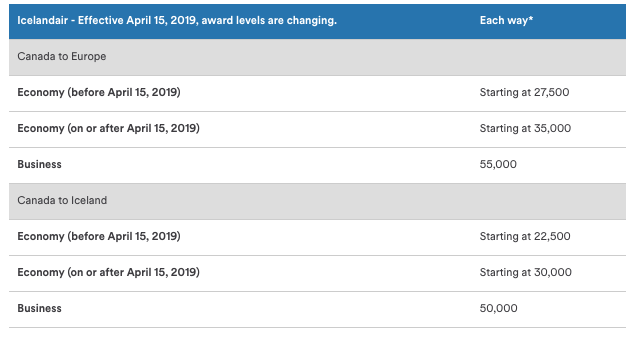 Below are the old and new rates for redeeming between Canada and Europe on Icelandair. As you can see it is only Economy class being affected but that is where the majority of redemptions happen. As always compare cash pricing versus miles when booking - especially on a carrier like Icelandair who are known for lower economy class fares to begin with, in many cases you may be better off using cash and saving the miles for a different redemption that provides bigger cash savings. 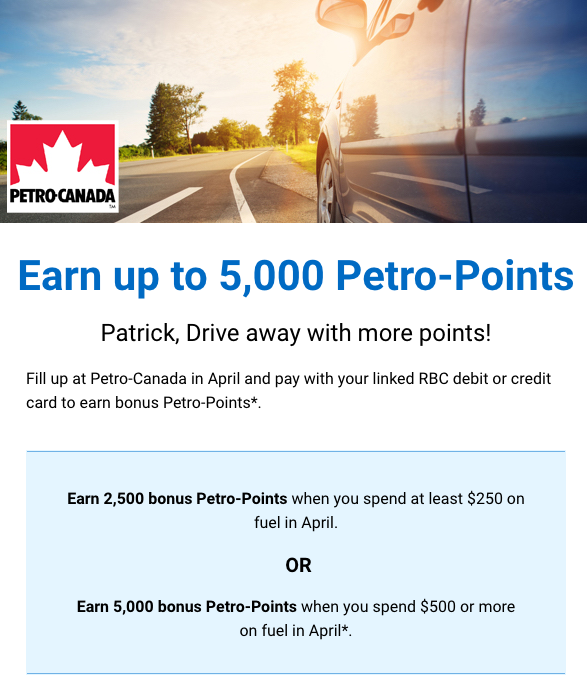 If you have linked your RBC credit card to your Petro-Points account check your inbox for this email offer of up to 5,000 bonus Petro-Points when buying fuel at Petro-Canada. There is a link in the email for you to load offer so be sure you don't just read it, click through to register. Coming to you a little late with this Aeroplan offer. 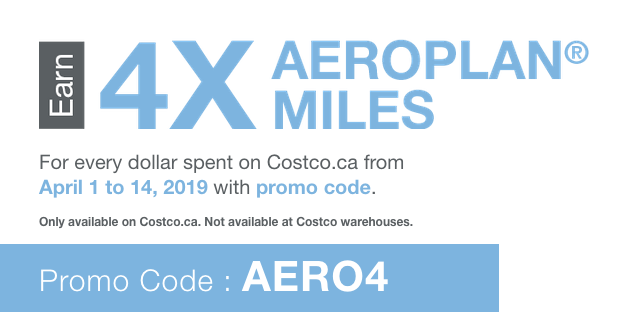 You can earn 4x Aeroplan miles for Costco.ca purchases until April 14. Find out more here. Cathay Pacific is offering 15% off economy class flights to India from Vancouver. Book by Apr 30. Find out more here!